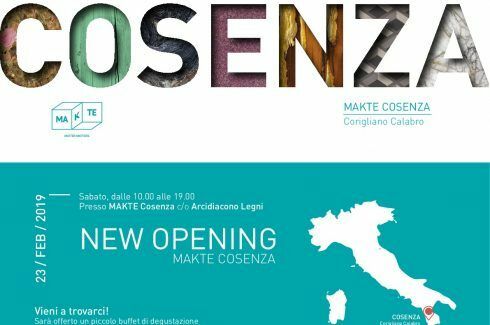 Makte Cosenza: inauguration of the sixth Makte Point! Saturday, 23rd February 2019, from 10.00am to 19.00pm the sixth showroom Makte will be inaugurated. Arcidiacono Legnami, the Cosenza company specialized in timber distribution, will expand his services and products thanks to the setting up of the new Makte showroom. 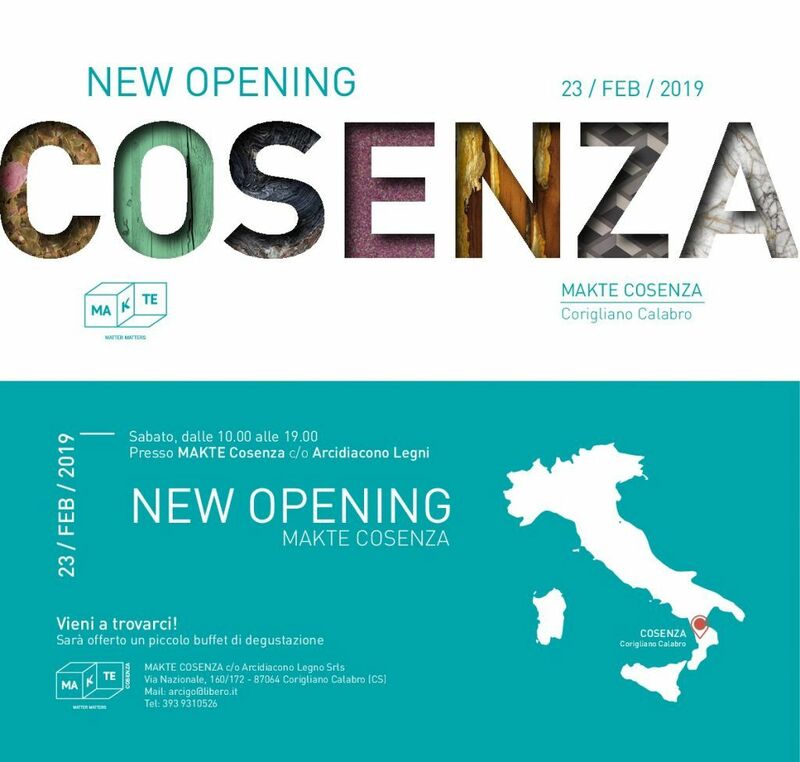 Makte Cosenza will put at the service of architects and designers a big material library set up with some of the best samples of materials and decorations of interior and exterior design, intended for the public of the Calabria region. If you are in this area, come drink a toast with us! A buffet will be waiting for you at Via Nazionale, 160/172 – 87064 Corigliano Calabro (CS).